We have been told by families we have served why they chose our funeral home and services. We want you to know some of these reasons and want you to feel comfortable when you also need to make this decision. Ours is not just any funeral home. With our years of experience, and highly professional, friendly and compassionate staff, Memories Chapel is the first choice for hundreds of area families each year. We pride ourselves on a tradition of value with more than 150 combined years of experience - a combination of unmatched service and fair pricing, and would consider it a privilege to be your funeral home of choice. 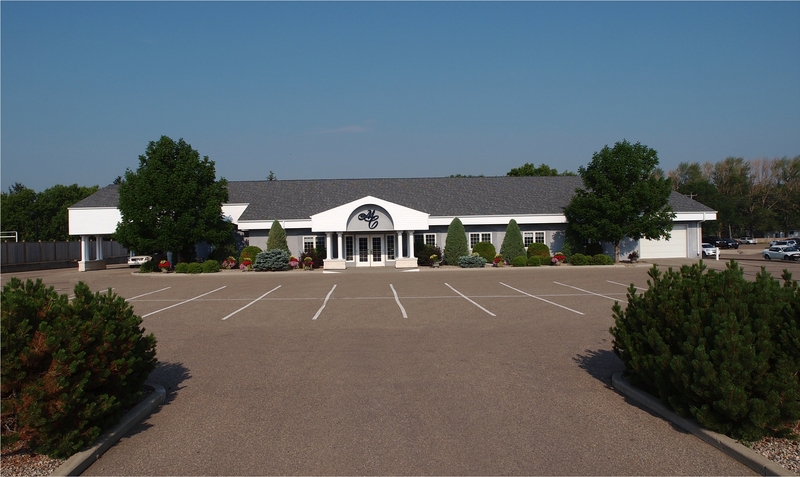 In addition to some of the most experienced funeral directors in the province, our facility stands out from others in very distinct ways. Unique to Brandon, Memories Chapel has a full service kitchen and facilities to host receptions. Catered by professionals your family and friends are able to remain at one location following the service while sharing memories and refreshments. Family and friends alike, both local and out of town, will appreciate our easy to find location. Our large time and temperature sign is well-known marking our offices and chapel on 18th Street North. Memories Chapel is a 10,000 square foot single level facility that is truly accessible. There are no stairs or ramps to impede mobility. Tastefully decorated with antique furnishings - we want you to feel comfortable during your time here. It may seem like an odd item to mention but we feel it is important to note. A large parking lot directly in front of our building provides convenience with ease of entry and exit.